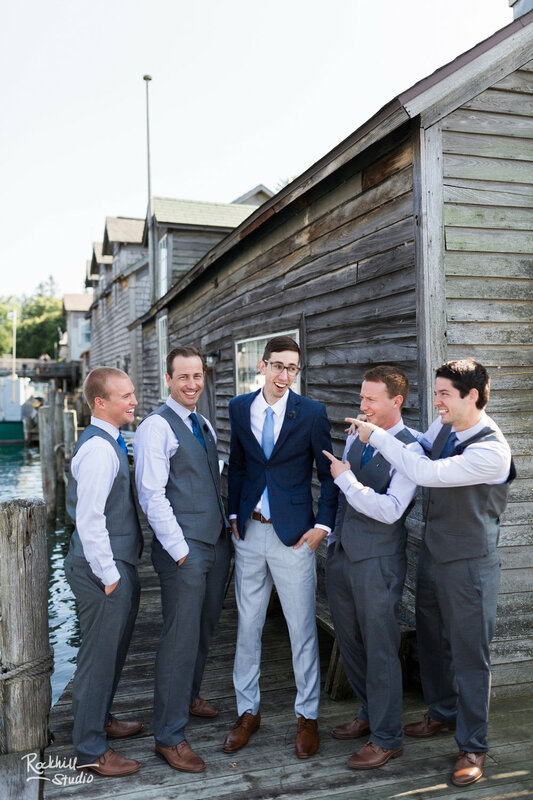 Alexandra and Josh's wedding in the Traverse City, MI area was everything you'd dream a wedding should be. It had amazing decor, food, venues (the VENUE, you guys...but I'll get to that in a second). But the icing on the cake was the couple themselves. We had an amazing time at their engagement session (which I haven't blogged yet, that is coming soon!) wandering the cherry orchards in the spring. Traverse City is amazing in the spring time with the rolling hills of apple and cherry blossoms!! Anyways, I had the best time with this amazing couple and for me, their wedding day couldn't come fast enough! 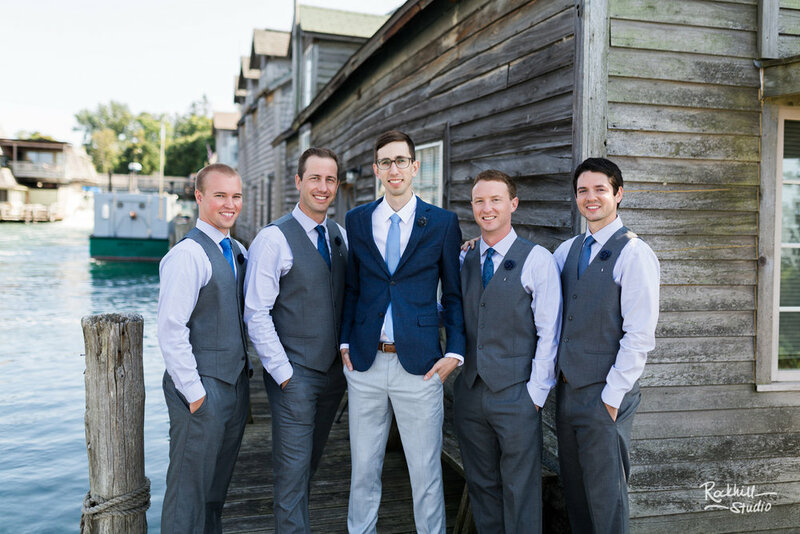 Their venues were the Glen Arbor Township Hall, and the ceremony was held at a private residence in the Sleeping Bear National Lakeshore area. 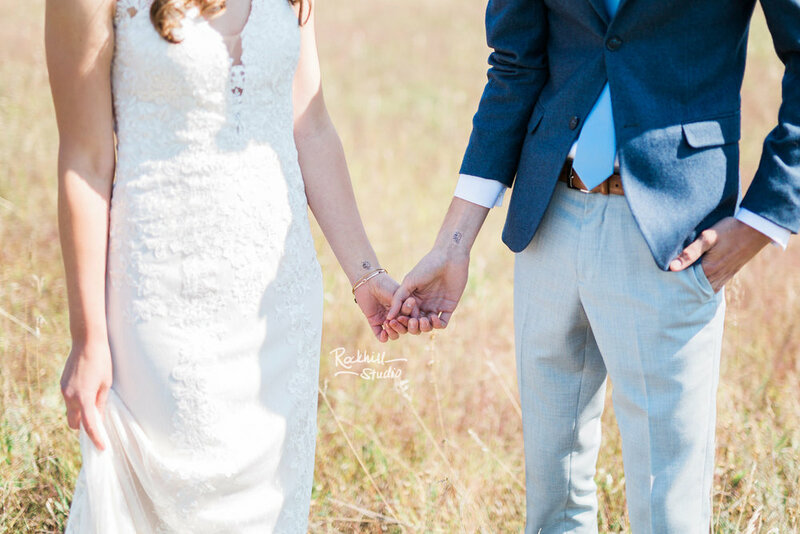 It sat high on a bluff overlooking the lake and the dunes, and it was absolute perfection. We also were able to take a little time and head to the Leland area to the old Fishtown. 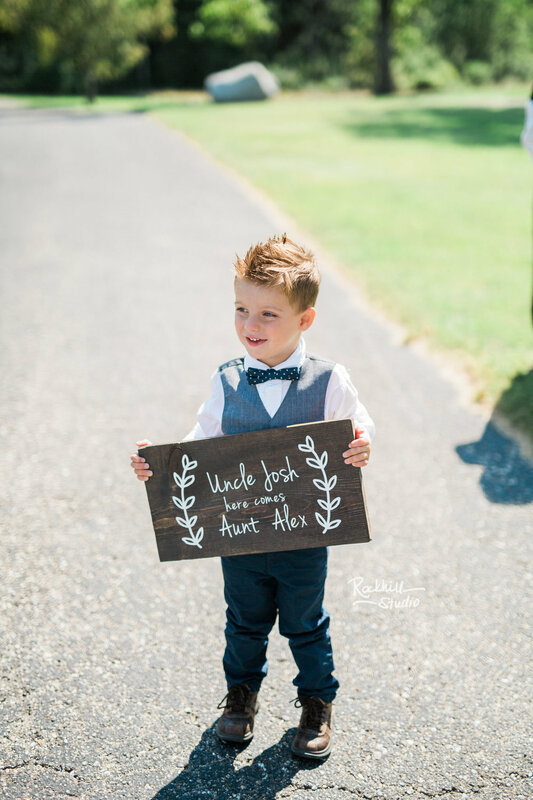 So, enjoy some highlights from this amazing wedding!! 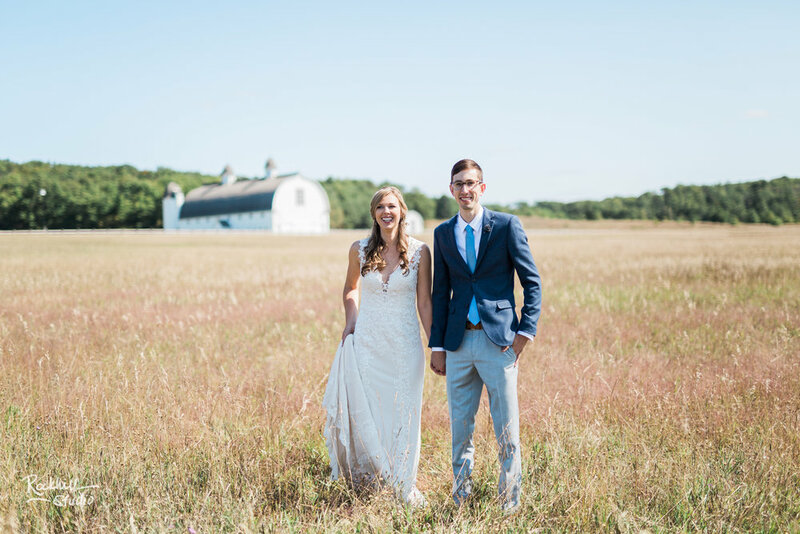 The couple wanted a first look prior to the ceremony and choose this open field right near the Sleeping Bear Dunes, right outside of Traverse City in the Glen Arbor, MI area. I love having first looks...it shakes all the nerves out before you walk down the isle!! The family all wore these little temporary mouse tattoos, which held a special meaning for Alex's family. I LOVE those little details!! 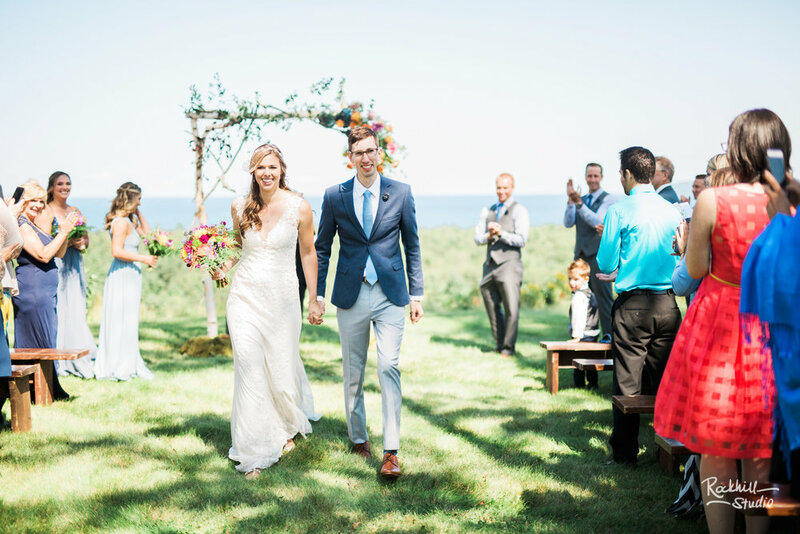 The ceremony was held at a private residence on a high bluff overlooking Lake Michigan and the Sleeping Bear Dunes area. The guests were able to enjoy the gorgeous views before the ceremony. 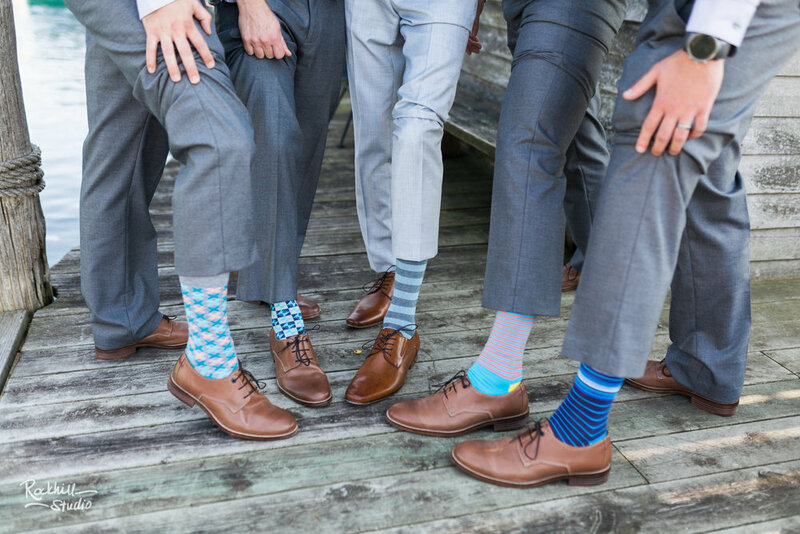 After their ceremony, the wedding party headed up north to the Leland area to Fishtown. The old fish shanties were the perfect backdrop for some more pictures. 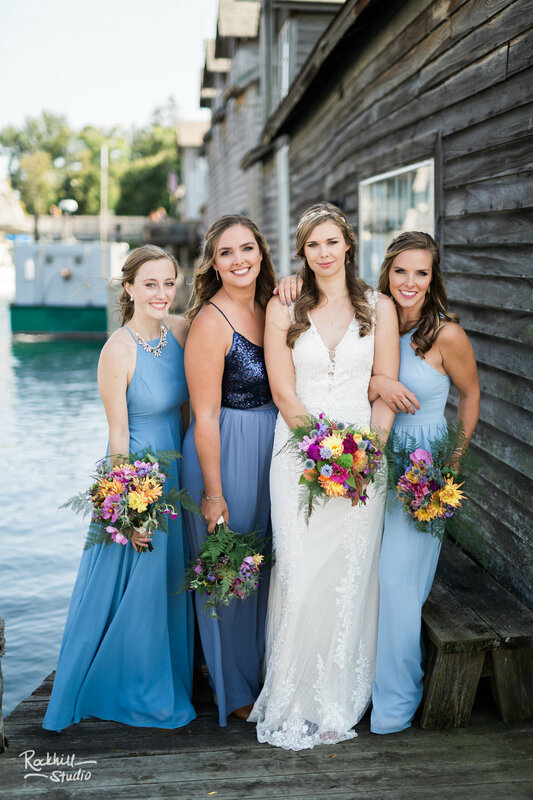 And I just can't get enough of the bridesmaids dresses that are in the blue color palate, but various shades and styles. It was so perfect!! After the Fishtown and beach pictures, we returned down to the Glen Arbor area for the reception with food, drink, and dancing! Several of the weddings we've photographed this summer have the little Fujifilm Instax cameras where they are mementos for the guests, as well as for a wedding scrapbook for the bride and groom. I loved these so much I bough myself a little Instax camera! Side note: I always love the toasts and speeches at a wedding...I love hearing more personal stories about the bride and groom and they are always so emotional!! 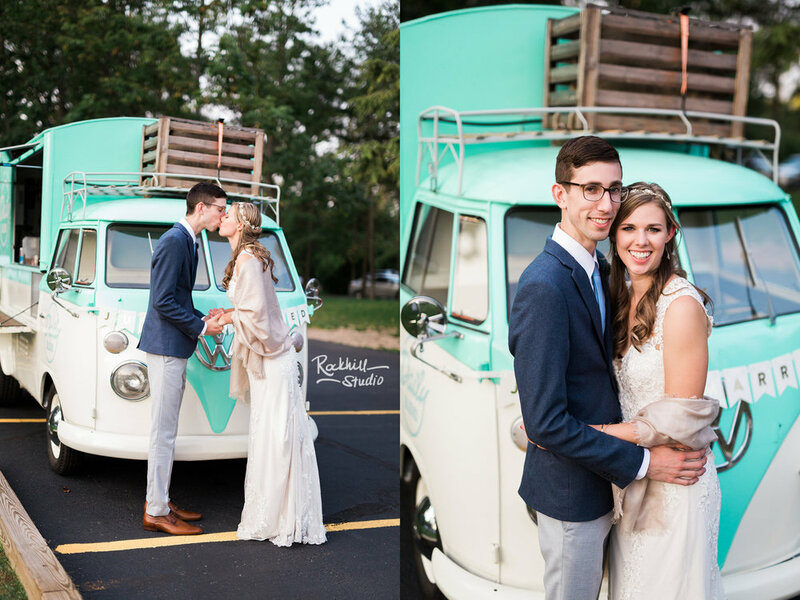 After dinner, we went outside for a few more portraits, including a few by this adorable bus turned mobile wine bar, which the couple had at their outdoor cocktail hour before the reception got underway. And then to kick off the dancing part of the evening, the couple celebrated their day with their first dance as husband and wife.